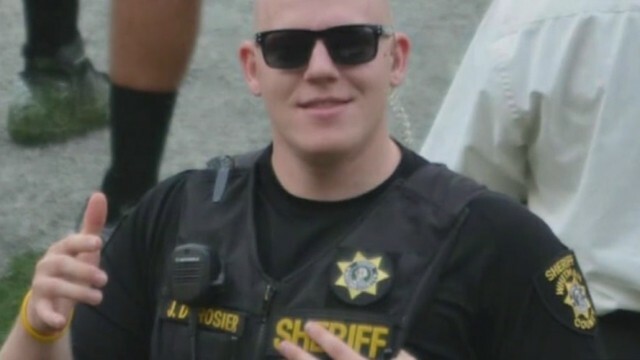 PORTLAND, Ore. (KOIN) -- Kelso native and new father, 29-year-old Justin DeRosier, died in the line of duty as a Cowlitz County Sheriff's Deputy on Sunday. 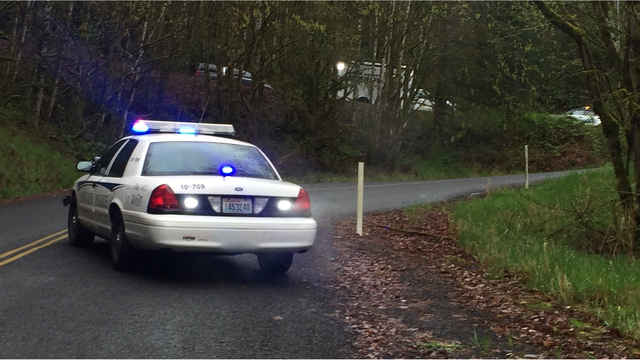 He was responding to a report of a disabled motorhome on Fallert Road in Kalama late Saturday night when he was shot by a suspect. His death has hit the tight-knit communities of Kalama, Kelso and Longview hard. "He really did have that heart of gold," family friend and Cowlitz County Fire Chief Vic Leatzow told KOIN 6 News. "I had a lot of hope and plans for Justin and I saw him working his way up int his dept very rapidly. He had that ability," Undersheriff Darren Ullman said on Sunday. Ullman said there were few cops who wanted to be a cop more than DeRosier did. DeRosier graduated from Kelso High School in 2008 and Washington State University in 2012. He stayed in Pullman as a deputy with the Whitman County Sheriff's Office until he returned home in 2016. He was a member of the SWAT team in Whitman and was slated to join the Cowlitz County drug task force this summer. "He loved his job. He was incredibly good at it," Ullman said. And as you can imagine, this is very personal for our agency." Sheriff Brad Thurman said DeRosier's family is prominent in the community. His grandmother Darlene DeRosier was the county auditor for years and his family owns a gravel business in Kelso. Leatzow added that not only is the family well known, but they're all well loved. "He was always jovial," Leatzow said. "He always had that good sense of humor. He could bring a smile in any condition." DeRosier's daughter, Lily, was born in October. "Justin left a beautiful wife and daughter, 5-month-old Lily, who is always going to know what an incredible man her father was," Ullman said. Flowers sit outside the Cowlitz County Hall of Justice in honor of fallen Deputy Justin DeRosier. Hundreds of people gathered at Martin's Dock at Lake Sacajawea in Longview Sunday night to remember DeRosier. "We'd like to send our condolences to the family and to the sheriff's department and we are here to support them any way we can," said Kristopher North a member of the Patriot Guard Riders. "Anybody who knows Justin would agree with this -- Justin was a bull in a china shop. You knew when Justin was there," Ullman said. "He had that presence that couldn't be overlooked. He will be with us forever and he will be truly missed." A food train has been set up for the DeRosier family as well as funding support for Justin's memorial service.